Did you edit this roundabout in Blender? 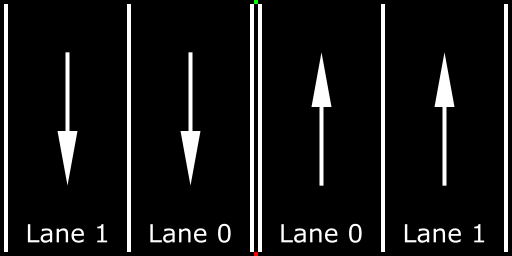 It's looking for "lane 2" - but in this case you only have "lane 0". 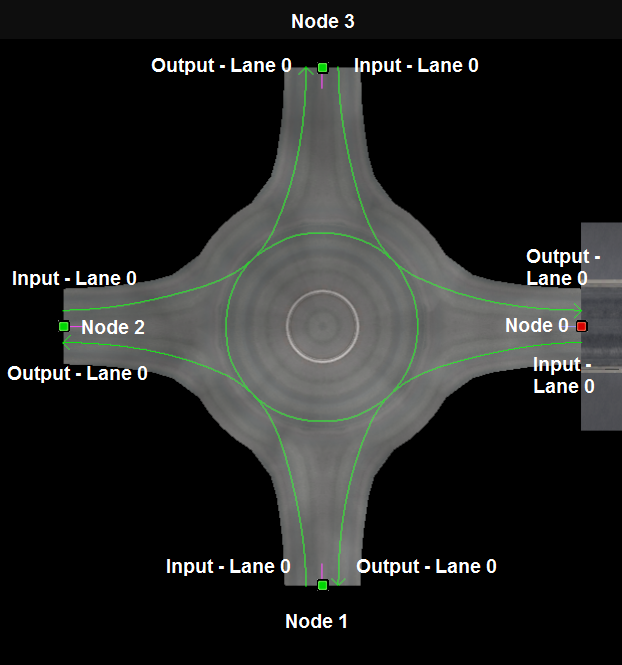 Lane "value" grows with every lane you move away from the central node. The roundabout is a prefab I found within the content browser was suitable for what I wanted, that's the original prefab shown within the library. Only installed content are SCS and Promods, so would assume it's part of Promods library content it's called "uk r1 x r1 sw round narrow tmpl"
Ah, it may be a prefab from MandelSoft's new set of UK prefabs. I'll let him know about this bug. Does anyone know how to add African map background to map editor ? How do I change the place where you start when testing a map? Some of the guides say you press "S" and it lets you move the car icon, but it doesn't seem to work for me so maybe it's out of date. Is this all that's needed? The older guides talk about editing the initial saves folder, but that seems out of date. The promods guide mentions copying materials folders, but that seems to be only required for custom named companies. Some of the guides also say the company prefab needs to be at the same height as the city zone, but that might also be out of date. Thanks so much. I've been stalled with this for several weeks. Last edited by Trucker2223 on 09 Feb 2019 19:09, edited 1 time in total. I have an Question to the Map Editor. And the Question is: Why is my work not saving? I have the Skill for the Editor, but the thing is that every Time when I am saving my Work, its not there next time in loading. And thats the Problem, I have the Time for mapping. But this Thing damage this Project. Knows an Developer any solution? Last edited by scan720 on 10 Feb 2019 14:31, edited 1 time in total. Are you packing your edited sectors and loading them as a mod? I don't see anything like that in your log. "Are you packing your edited sectors and loading them as a mod? I don't see anything like that in your log." No, I mean how can I load it in the Editor, to continue my work. Please, read/watch a tutorial first, because I think you're missing the basics, which were explained many times already. I watched now a Very good Videos and get it now.